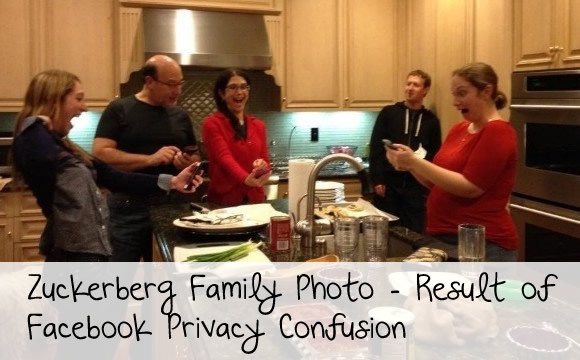 Mark Zuckerberg’s sister experienced Facebook’s confusing privacy settings when a private family photo went public. The Zuckerberg family photo went public when Randi Zuckerberg posted a familiy photo to her Facebook account, including the Facebook CEO, playing around with Facebook’s new Poke app. Unfortunately for her, it ended up on Twitter, where it then went viral. She had asked the follower who posted it first to take it down and she did so politely, however the original tweeter thought it was a public photo and thought it was just a nice picture of the Zuckerberg family. I feel the same way, after looking at the picture, I couldn’t see any problem with it, in fact it was nice to see Zuckerberg in a home setting having fun because I’m sure he is always keeping busy. Maybe she didn’t like the way she looked in the picture? That’s what my first guess is, what do you think?